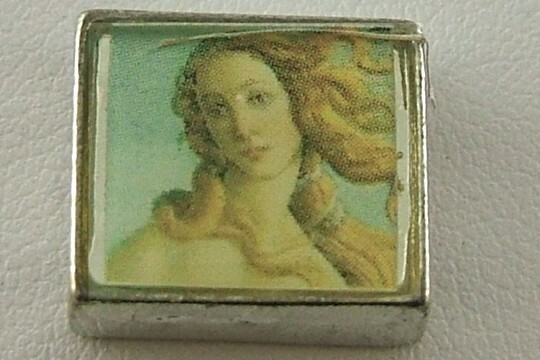 With detail from Sandro Botticelli's The Birth of Venus, the Goddess of Love is featured in this little bead. The original painting was commissioned by the powerful Medici family who asked the painter to represent Venus in the manner of the ancients. She arose on the shell and was swept to shore by flying wind-gods amongst a shower of roses. 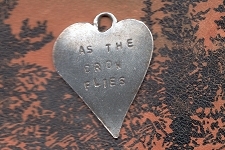 Detail from the original painting is featured in our little bead, which measures about 1/2 inch wide. 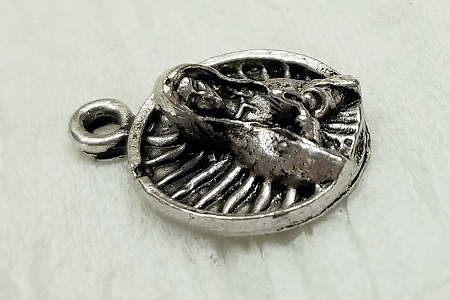 There are two holes for stringing that travel through the bead from left to right.